A promising young mixed martial arts (MMA) prospect will be taking on the biggest fight of his career. 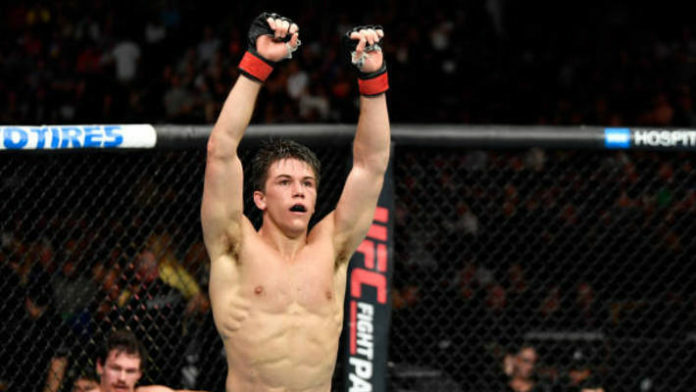 Alexander Hernandez will face former UFC lightweight title challenger Donald “Cowboy” Cerrone later this month (Sat. January 19, 2019) at UFC on ESPN+ 1. Hernandez is on an eight-fight win streak at the moment. He made a thunderous debut with a first-round knockout win over Beneil Dariush last March. Hernandez responded with a unanimous decision win over Olivier Aubin-Mercier in July. Now, he’ll face Cerrone, who has shared the Octagon with some of the division’s best of all time. “Cowboy” is coming off a victory over Mike Perry in November. Cerrone has now won two of his last four fights. The last time he welcomed a young up-and-comer to the deep end of the pool, it didn’t go his way. What do you think of Hernandez saying he plans on “merking” Cowboy?